Which Products Should You Choose? When you open a new office with the help Chicago systems integrators, you’ll quickly discover that there are plenty of products to choose from. Every new store needs security solutions, integrated office systems, or just a better phone system. 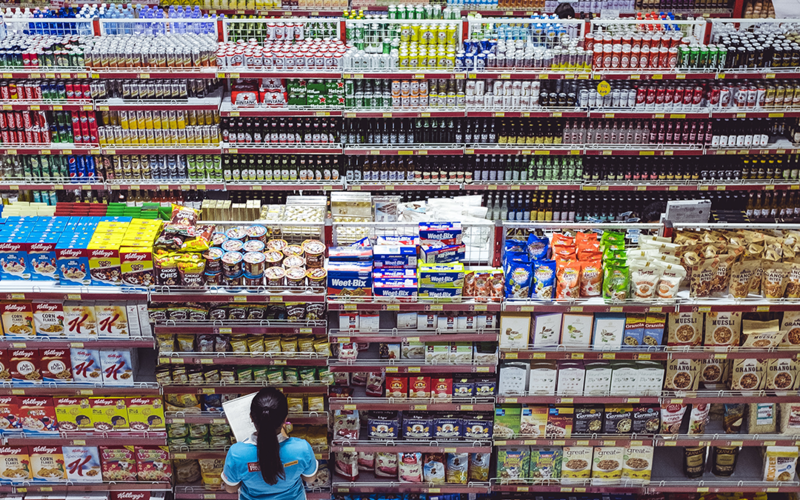 But how do you know which products are the right ones for your store? Let’s take a comprehensive look at different systems available, so you can pick the right one for your business. High quality video surveillance not only protects your building from theft but can also help police catch the perpetrator should a break-in occur. Without video surveillance it can be nearly impossible to hold the burglar accountable. Poor quality video surveillance is barely better than no video surveillance. Based on your budget, system size, and security needs, Medlin Communications specializes in several different video solutions that can be customized to fit your needs. Let’s take a look at two different examples of video systems that could work for you. Axis video surveillance features motion activation, live streaming capabilities, and high quality video footage to protect your business. With low light accuracy, you’re always guaranteed high quality video no matter the time of day. It’s also a great solution for those tough spots that don’t get as much light as your typical security camera would need. As a matter of fact, Axis video surveillance even features thermal imaging to identify scenes and activity even in the pitch dark. Its durable construction makes it perfect for outdoor situations. With the option for facial recognition technology, Axis video surveillance is also a great solution for access control. Speaking of access control, Axis door stations are a great combination of video surveillance and access solutions. These door stations promote visibility with built-in cameras that provide the surveillance you need. Operators can manually identify who’s at the door from a remote location and have the option of whether or not to buzz them in. Two-way audio calling means operators don’t have to allow access based on visual confirmation alone but can easily communicate with users. Door stations are easy for entrants to use with easily-accessible push button calling. Secure access control is a hot topic for Chicago systems integrators. A great access control system needs to balance ease of use for authorized entrants and security to keep unauthorized users out of your building. Axis door controllers are easily customized, allowing your access system to suit your needs. Axis door controllers not only integrate with video surveillance but can also provide you with real-time HVAC adjustments for entrants, time and attendance systems for employee accountability and countless other integrations. With mix-and-match software and hardware capabilities, you don’t have to worry about the possibility of integrations. Instead, you can integrate across brands. Axis door controllers are also ONVIF Profile A and C compliant, which provides you with standardization for effective interoperability. Pdk.io access control systems are truly cloud-based with no wireless hubs or special devices needed. Instead, pdk.io features unintrusive installations and easy integration thanks to network and USB connectivity. With user-friendly controls and intuitive dashboards, remote monitoring is easier than ever and allows you to have control at all times. Worried about the security of a cloud solution? Advanced encryption protocols keep your data safe and ensures that access data is secure and trustworthy. Chicago systems integrators will help you decide between different types of door control solutions. Do you need an unintrusive installation? Or is video surveillance more important for your area? Keep these questions in mind when deciding on your access solution. The installation of your IT network is crucial for its success later on. A poorly installed system sets your office up for failure with connectivity issues, limited integrations, and poor security. While there’s a lot that goes into the IT installation process, including fully-integrated systems, Chicago systems integrators can provide you with the right products to help you create a secure and reliable IT network. For example, WatchGuard Total Security includes IPS, or intrusion prevention service, which scans traffic in real time to make sure you’re protected against cyberthreats. It also uses URL filtering with WebBlocker and spamBlocker which blocks malicious content at granular levels and increases security and productivity. This total security solution also provides you with application control which allows you to enable or disable users or groups on customizable schedules. WatchGuard Total Security is a great solution for identifying threats and managing your cloud-based system. But if you’re having connectivity issues or struggling with limited integrations, Bigleaf could be the right solution for you. Bigleaf is an intelligent cloud solution that offers users firewall and cloud integrations to make your work simple and easy to manage. VPN traffic optimization can solve connectivity issues with stable site-to-site connectivity over ISP connections. Along with fully redundant gateways, a dedicated IP block out of Bigleaf gateways allows failover between circuits without dropping sessions. This combines with intelligent load balancing for real-time adaptivity that matches needs to circuit performance so you’re always connected. When it comes to cloud network solutions, choose the solution that solves your problems. Chicago systems integrators can perform a full analysis of your system and help you find one that’s right for you. Medlin Communications is proud to work with quality products from a broad variety of vendors, including Ubiquiti, Polycom, Elevate, and much more. We can help you transform your systems for reliability and performance in everything from network expansion, office moves, security concerns, or AV needs. When you’re choosing from Chicago systems integrators, choose Medlin Communications. We’ll get your job done right, the first time. Ready to upgrade your systems? Get in touch with us today and someone will get back to you shortly.